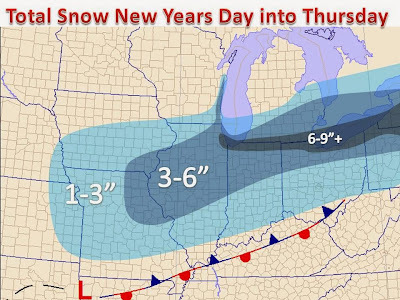 Yet another area of low pressure will move through the Midwest today and drop another round of decent accumulating snow. This storm will eventually merge with another system from the deep south and wind up on the east coast and drop up to a foot of snow in some places. 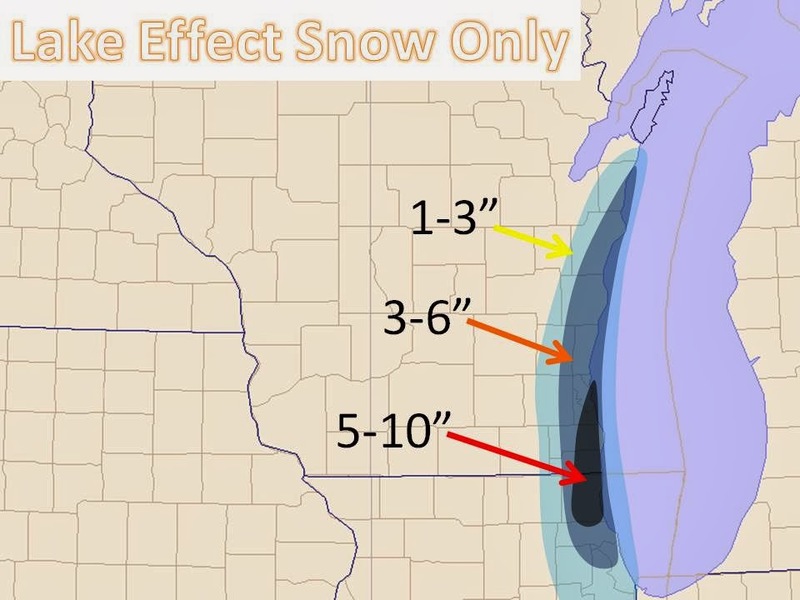 For us, several inches of a light fluffy snow will pile up this afternoon and evening. Lake effect (see map below) will kick in as well and possibly last into Thursday. 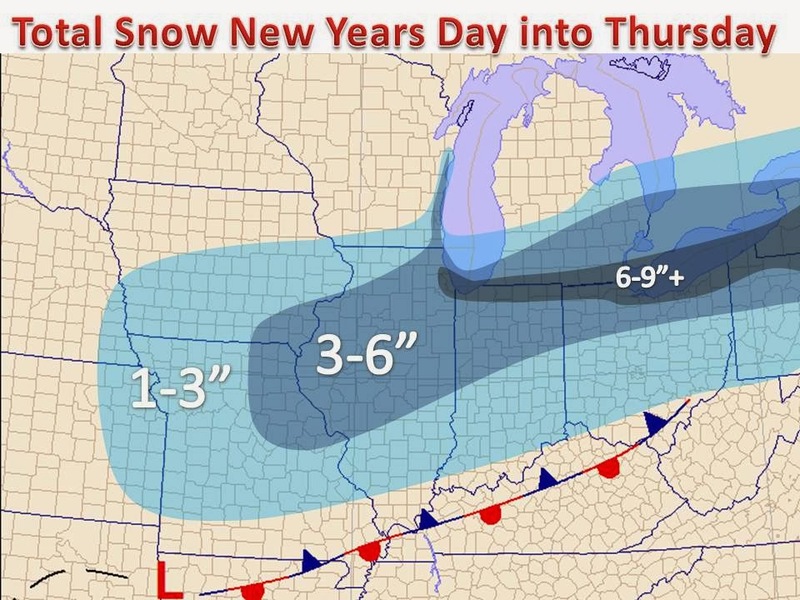 These maps are total snow for storm #3 this week. Another clipper comes in Saturday.